It is open from 1pm to 5pm and is free admission. For more information about future future dates and where else they hold fairs click here. 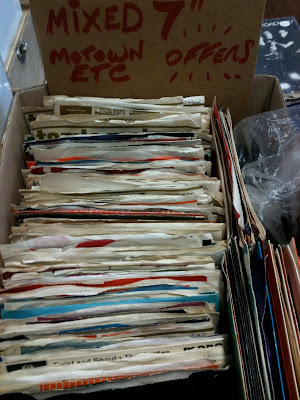 From what I could tell there was a vast array of virtually all types of music, excluding maybe classical or opera, and in particular I was impressed with the collection of Motown/Atlantic EPs and their 50p bargain bin. 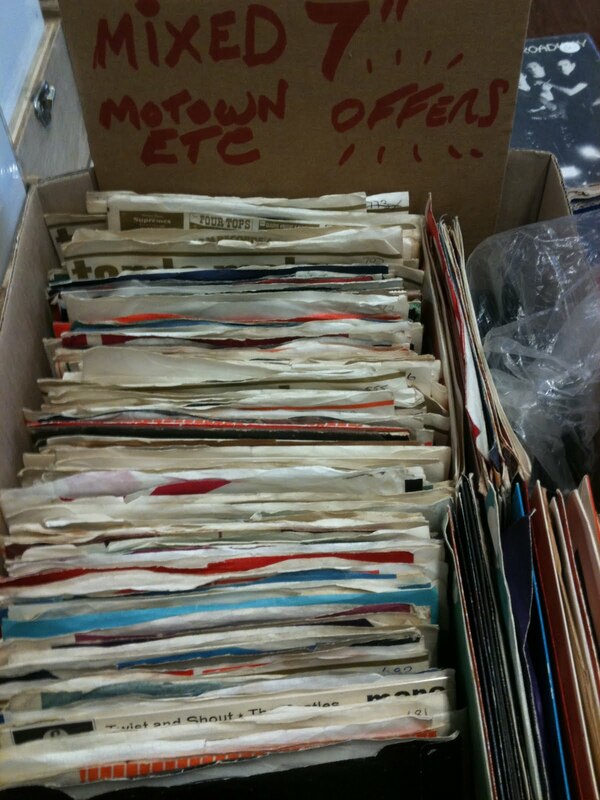 As you can see I made a few purchases; an Elvis Presley "Are you lonesome tonight?" EP because I just couldn't resist his smiling face and a Dire Straits EP for other random reasons. It is more likely that these will end up framed and join other vinyl I've bought in the past mainly for the covers and sentimentality than for actually listening to it. (Go on, judge me!). I did also buy a Siouxsie and the Banshees record for my Dad, which made him very happy.